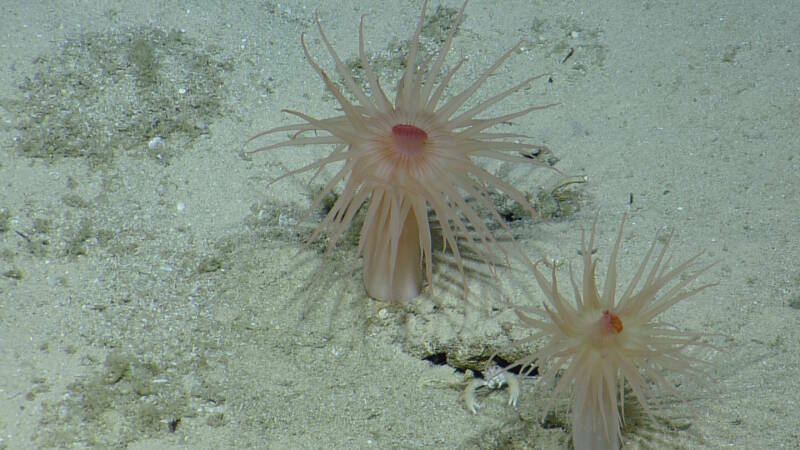 From September 3-13, 2014, U.S. Geological Survey scientists led an expedition to explore the virtually unknown seamounts of the Anegada Passage, located in the eastern Caribbean. This expedition yielded the chance to explore parts of the Earth never before seen by humans. 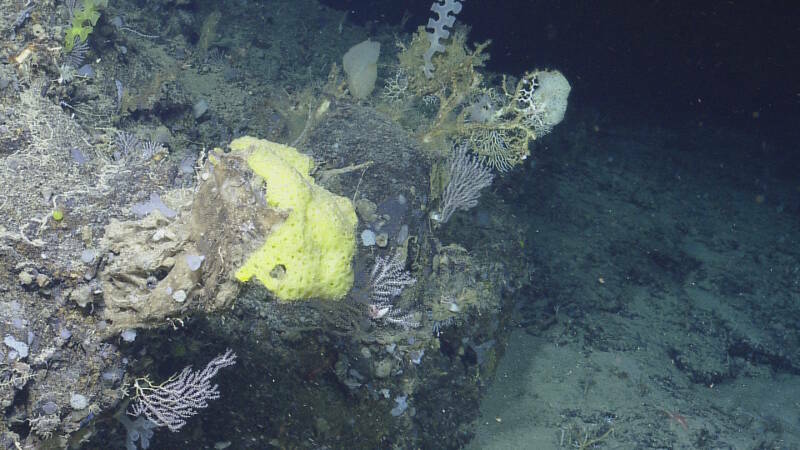 This coral-covered rocky outcrop is home to a diverse group of biology, including one large moray eel. Also known as “dumbo” octopods because the fins on the sides of their bodies make them look like the flying elephant in the Disney cartoon. 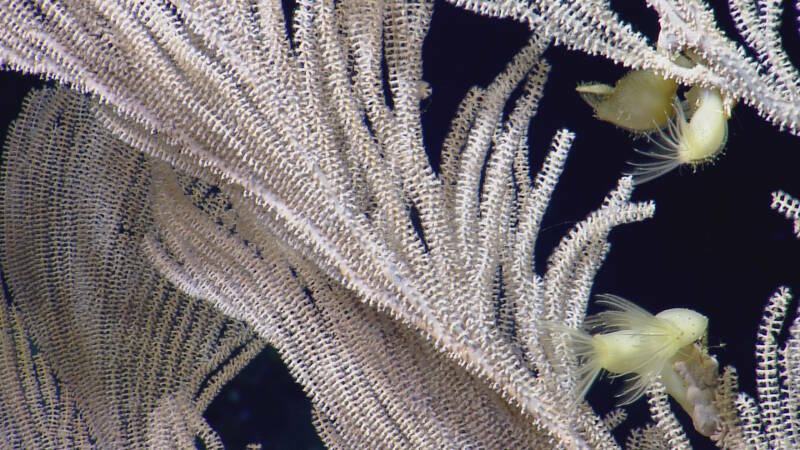 What lives amongst the lush coral communities of the Anegada Seamounts? 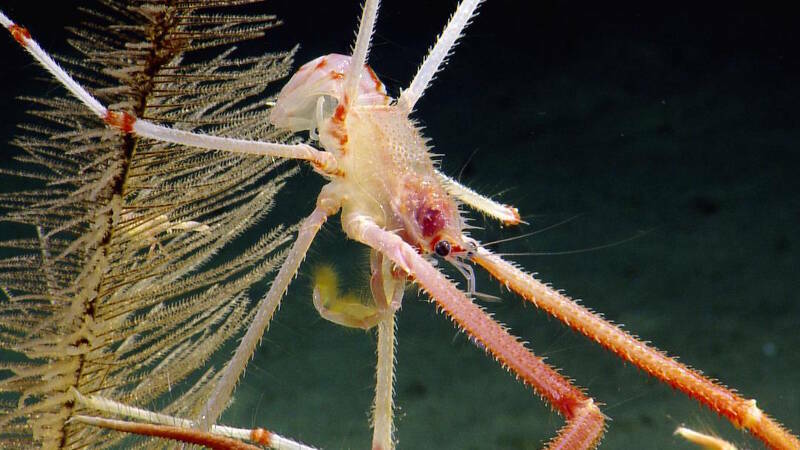 Decapods, brittle stars, fish, and much more.